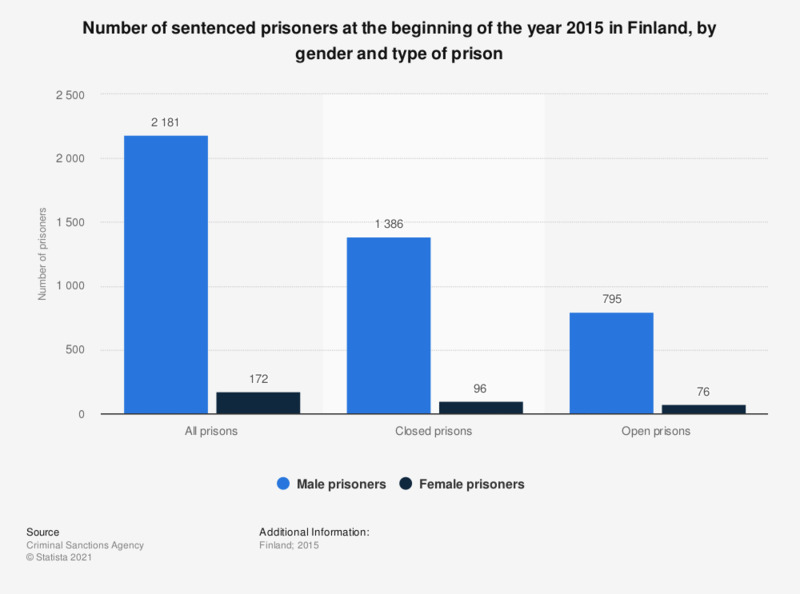 This statistic shows the number of sentenced prisoners at the beginning of the year 2015 in Finland, broken down by gender and type of prison. During the period under survey, the number of female sentenced prisoners in open prisons was 76. For this statistic, the values reported by the source have been subtracted.